Oak Park, Illinois, 1875. 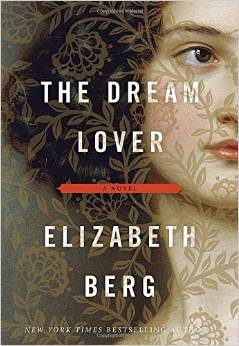 Isabelle Larkin’s future—like that of every young woman—hinges upon her choice of husband. She delights her mother by becoming engaged to Gregory Gallagher, who is charismatic, politically ambitious, and publicly devoted. But Isabelle’s visions of a happy, profitable match come to a halt when she witnesses her fiancé commit a horrific crime—and no one believes her. Gregory denies all, and Isabelle’s mother insists she marry as planned rather than drag them into scandal. Fearing for her life, Isabelle can think of only one escape: she feigns a mental breakdown that renders her mute, and is brought to Bellevue sanitarium. There she finds a friend in fellow patient Mary Todd Lincoln, committed after her husband’s assassination. In this unlikely refuge, the women become allies, even as Isabelle maintains a veneer of madness for her own protection. But sooner or later, she must reclaim her voice. And if she uses it to expose the truth, Isabelle risks far more than she could ever imagine. Was this a good read? Well…it was just okay. I kept reading to find out what would happen. The plot was interesting. But it didn’t flow and it left unanswered questions. Why was Gregory living a lie? Why was Isabelle’s mother not willing to give Isabelle the benefit of a doubt, when Isabelle never had told a lie? Another big question was, why is Mary Todd Lincoln in this book at all? It added nothing to the story. The book definitely was short on character development. Side characters, like Isabelle’s friend Lucy, seemed to do things that made no sense. Such as Lucy’s trip to Montana and back again without even telling her fiancé that she was leaving. A sanitarium in the late 1800’s would not be a social spa like it is characterized here. If you read this just for the story then it is just okay but be prepared to find fault with much of the action and characterization. A heartrending, gripping novel about two sisters in Belle Époque Paris and the young woman forever immortalized as muse for Edgar Degas’ Little Dancer Aged Fourteen. 1878 Paris. Following their father’s sudden death, the van Goethem sisters find their lives upended. Without his wages, and with the small amount their laundress mother earns disappearing into the absinthe bottle, eviction from their lodgings seems imminent. With few options for work, Marie is dispatched to the Paris Opéra, where for a scant seventeen francs a week, she will be trained to enter the famous ballet. Her older sister, Antoinette, finds work as an extra in a stage adaptation of Émile Zola’s naturalist masterpiece L’Assommoir. Marie throws herself into dance and is soon modeling in the studio of Edgar Degas, where her image will forever be immortalized as Little Dancer Aged Fourteen. There she meets a wealthy male patron of the ballet, but might the assistance he offers come with strings attached? Meanwhile Antoinette, derailed by her love for the dangerous Émile Abadie, must choose between honest labor and the more profitable avenues open to a young woman of the Parisian demimonde. Set at a moment of profound artistic, cultural, and societal change, The Painted Girls is a tale of two remarkable sisters rendered uniquely vulnerable to the darker impulses of “civilized society.” In the end, each will come to realize that her salvation, if not survival, lies with the other. This book is based on the true story of the fourteen year old ballet dancer, Marie Van Goethem, who modeled for Edgar Degas’s famous statue Little Dancer. It is also the story of her family; an alcoholic mother, older sister Antoinette who became a prostitute and younger sister Charlotte who became a rather famous ballerina. Left to fend for themselves upon the death of their husband and father the family did what they had to do to house, feed and clothe themselves. For penniless Parisian women in the 1870’s there were menial jobs (the mother became a laundress) or prostitution (The mother and Antoinette) or go on the stage as a ballerina or actress (the route that Marie and Charlotte took). I enjoyed this book for the realistic look at poor women in the late 1800’s. Not so much different in Paris as in the USA or England. It is a well-researched book and the look into the ballet was also very interesting. There were men of wealth who came to observe the young ballerinas and would offer some their “protection” which was not always protective. Marie was fortunate in that Edgar Degas paid her to only model. But later she met another man who wanted more from her. This is a very slow starting book and if I had not been reading it for my book club discussion I might have given up. However at about the 150 page point this became a very engaging story. I realize that not all readers are willing to wait that long into a book but this one did pay off in the end. BTW- My book club agrees with my review here. This is book #3 of the Rakes and Rogues of the Restoration Series but can be read as a standalone story. This deal is good for 3 days only in the USA. 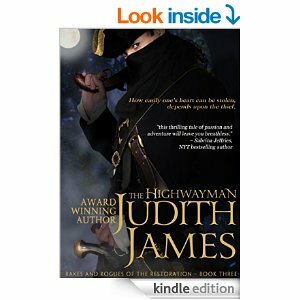 Judith James has a way of bringing the early 18th century to vivid life, infusing it with sublime romance and giving the reader page turning satisfaction. Here , below, is the first book in this series and my review. I have a love/annoyed relationship with this novel. I loved the prose that brought to life this complex woman who we know as George Sand, born Amantine-Lucile-Aurore Dupin. I found this genius-woman to be fascinating in her ability to accept society’s censure of her behavior. She was able to do this by keeping herself to a wide circle of likeminded friends and lovers. I loved the way George could throw herself into love affairs and care deeply about the lover even after the affair ended. She was addicted to being in love and always searching for the forever-love. Of course, I have no idea if this is actually how George felt because this is a novelization of her life. What annoyed me about the book was the time jumps from George’s adult life to her childhood. I think I would have enjoyed this novel even more if it had been written in a linear fashion. With every other chapter jumping back and forth it was at times confusing and took me out of the story. I also wanted to know more about her first husband Casimir and because this book was written in the first person from George’s point of view we are left to wonder about him. As an introduction to the life of George Sand this is a good book. I was compelled to read page after page trying to understand the mind of this famous woman. Since it is a novel I think biographies would add even more to my understanding. As Mary’s gripping tale of rebellion and betrayal is revealed to her, Sara faces events in her own life that require letting go of everything she thought she knew-about herself, about loyalty, and especially about love. Though divided by centuries, these two women are united in a quest to discover the limits of trust and the unlikely coincidences of fate. 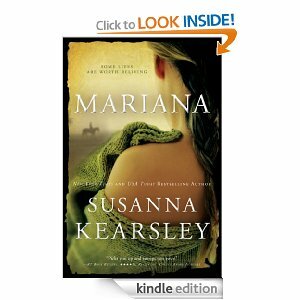 Mary Dundas starts out on this 1732, adventurous journey an innocent, sheltered, naive young woman. She is not a stranger to heartbreak having her father and brothers leave her with family when she was young. When she accepts the challenge to help the Jacobite King she does so with a touch of anxiety but feeling also she will be of service. Her brother Nicholas does not really give her a choice. On this assignment she meets Thomson who is on the run from the English Parliament for fraud, MacPherson who is a body guard and Effie who is to be her chaperone. Some characters that Ms. Kearsley explains in an afterward are historically accurate. Adventure and danger are around every corner but MacPherson manages to protect the small group through the journey. Sara Thomas, who is decoding Mary’s diary in the present day, has Asperger’s Syndrome and is fully aware that she does not have the ability to read others’ feelings accurately. So she has difficulty understanding her own feelings toward a new friend. But Sara’s budding romance also confounds her since she has become very friendly with “his” ex-wife. Sara cannot understand how they can remain good friends. I could say so much more about the story but truly it is all exquisite! There is no other way to describe this book. Oh, yes, I could say that the narrative is well paced, the romance slow building, the plot riveting, the characterization well developed but that all evolves into “exquisite”. This book contains the most romantic declaration of love I’ve yet to read in any novel. I’ll say no more about that so I don’t spoil it for you. Because I do expect that you will move mountains if necessary to read this one. 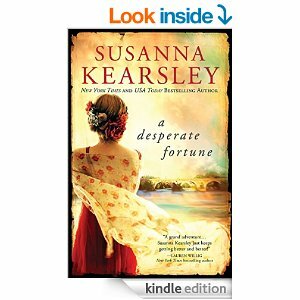 Susanna Kearsley has written other novels centering on the Jacobites or this late 17th and early 18th century time period. They are all well written page turners, as are her Time Travel novels. I highly recommend them. Nothing for Fanny Osbourne is simple and easy. Life is complicated and she never shies away from the complications or the adventure. For the slight person she was physically she had a powerhouse of internal strength. 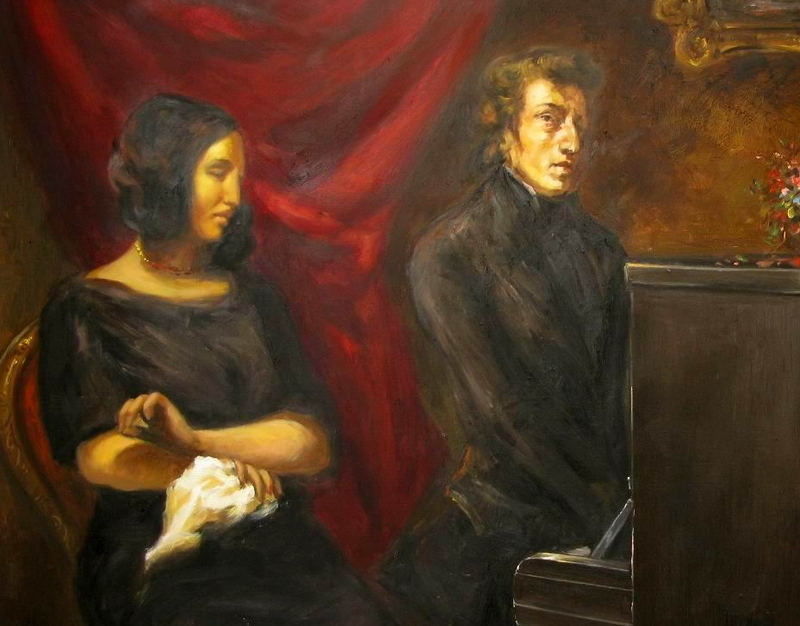 Robert Louis Stephenson knew a good thing when he found her. He had a tenacity of spirit in spite of being physically unwell a good deal of the time. He followed Fanny half way round the world to make her his. This is a wonderful book, filled with emotional moments on nearly every page. Ms. Moran is stellar at bringing out the happiness that was intrinsic to both Fanny and R.L.S. and then wrenching our hearts with the tragedies and hardships they endured. But above all, the love of these two souls shines through. This is a long book, 472 pages. Never once did I want it to end or be shortened. In fact I wanted more, more of Fanny in her final years, more of Belle, her daughter. This is a book that will stay with you for a long, long time and perhaps inspire you to grab for the gusto, so to speak. The story starts in 1662 with Patience and Cale Morley and their meager supply of food and continues with their descendents in increments of 11-29 year spans until the present. Each new date brings us into the November kitchen of the Morley women and in short stories we are drawn into the lives of the Morley family. Family members are not always honorable but they are survivors. The women have made many sacrifices as well as the Morley men. The homestead has undergone many changes by each generation but the kitchen remains the domain of the Morley women. I found this novel to be well written and totally absorbing. Ms Cooney vividly creates each era and setting and has us understanding the nuances of family interaction throughout the many changes in circumstances. It was interesting that she chose to make many of the women single mothers in times when this would have been scandalous but they didn’t seem to be scadalized. I enjoyed this book and recommend it as a good read during this holiday time. 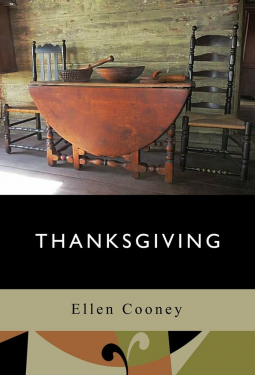 It gives an overview of American Thanksgiving history through the lives of ordinary citizens in a realistic and compassionate way. The first time Julia Beckett saw Greywethers she was only five, but she knew at once that it was her house. Now, twenty-five years later, by some strange chance, she has just become the new owner of the sixteenth-century Wilshire farmhouse. But Julia soon begins to suspect that more than coincidence has brought her there. As if Greywethers were a porthal between worlds, she finds herself abruptly transported back in time. Stepping into seventeenth-century England, Julia becomes Mariana, a beautiful young woman struggling against danger and treachery, and battling a forbidden love for Richard de Mornay, handsome forebear of the present squire of Crofton Hall. Each time Julia travels back, she becomes more enthralled with the past, falling ever deeper in love with Richard…until one day she realizes Mariana’s life threatens to eclipse her own–and that she must find a way to lay the past to rest, or risk losing a chance for love in her own time. Here we have a ghost, reincarnation, time travel and a heartrending love story of soulmates all wrapped up in exquisite prose. I could not put this book down, I had to read until the last page no matter the late hour. There is an element of subtle danger that culminates in heart pounding action and suspense. The ending is satisfying and romantic. “Ordinarily,” he went on, evenly, “I’m a patient man. But I think I’ve waited long enough.”……”Time we both stopped waiting, and began to live.”…. “These are your beautiful days, Julia Beckett.” He promised me softly. 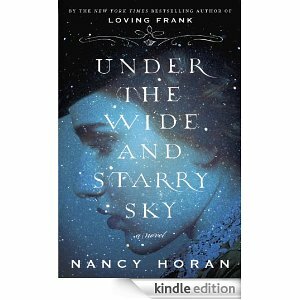 I recommend this book to all romantics who like their stories well written and totally engrossing. 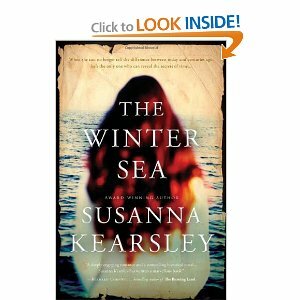 This is my fourth Susanna Kearsley novel in the past two months. She is my new favorite author. I thought her book THE ROSE GARDEN was my favorite until I read this one although I have loved each of her novels. History has all but forgotten…In the spring of 1708, an invading Jacobite fleet of French and Scottish soldiers nearly succeeded in landing the exiled James Stewart in Scotland to reclaim his crown. I have to thank blog reader and commenter, Edyta, for recommending this book. This is a duel story of both, Carrie, the present day author in the story, and her ancestor Sophia. The narration goes from chapters in the present to chapters of the past. Kearsley once again weaves a stunning romance while bringing to life the Jacobite rebellion in Scotland. The book is so well written that it often felt like I was reading a true account. It is a long book 527 pages but I became so engrossed that I hardly noticed. There is action, adventure, moments of pathos, romance and redemption. Kearsley researches her story so well that the setting is brought to life. 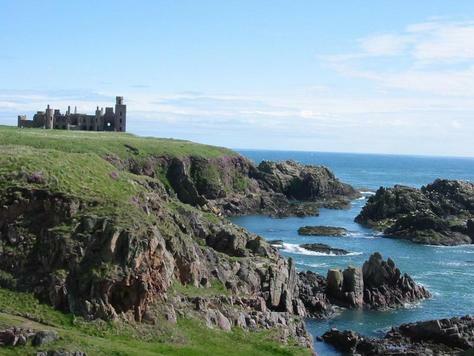 For Slains Castle is a real place and did play a pivotal role in the rebellion of 1708. 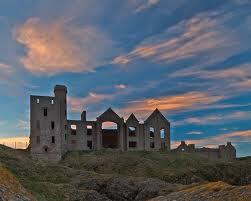 Here is a look at Slains Castle as it appears today. If I have any negative remarks it is that I would have liked a bit more of Carrie’s romance and story.